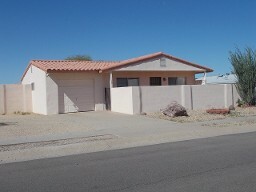 This 3 Bd/1 1/2 Ba house has ceramic tile throughout. It has a block wall for privacy, red tile roof and a garage. 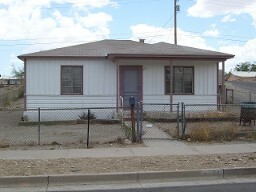 This 3 Bd/1 Ba has an added-on family room. It is fenced and there is a garage and a carport. A new heat pump was installed in 2017. 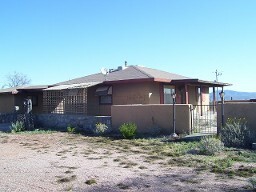 This 2 Bd/1 Ba home sits on 1.14 acres. Across from the carport is a 1 Bd/1 Ba guest room. The view of the mountains is not obstructed by the low stucco wall. 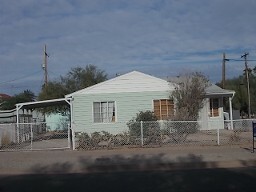 This 2 Bd/1 Ba is on a corner lot. It is a great rental house or a second house for the winter.